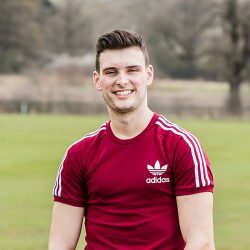 George Rees left the College in 2016 and progressed to Sheffield Hallam University, where he is currently studying for a degree in Physical Education and School Sport. A former Langley School pupil, he was on our BTEC Extended Diploma in Sport course, achieving a distinction grade. George hopes to get his PGCE qualification after he completes his degree so that he can become a secondary school teacher and is considering both teaching and pastoral support as future career options. These ambitions are supported not only by his studies, but also the many extra-curricular activities that he has involved himself in during his time at College. George was part of the College Rugby and Cricket teams and took part in the Duke of Edinburgh Gold Award during his time at College. He was also a Course Representative at College, which means he represented his fellow students at meetings, providing feedback to Student Council to give students a voice at College.